Homeowners have an abundance of informational sources available for remodeling advice and ideas. The do-it-yourself channels and internet sites make it look easier and faster than it actually is. To tackle a major renovation project, you need to be part visionary and part realist. The visionary sees the potential; the realist sees the time, patience and budget needed! The kitchen and bathrooms were high on the remodel list so Steve called his friends at Modern Supply for design and product advice. Debbie Johnson from Modern Supply met with Steve. They discussed how to redesign the existing odd shaped kitchen to be more cook-friendly. Measurements were taken and the designing process began! The kitchen was reconfigured to maximize space and storage. 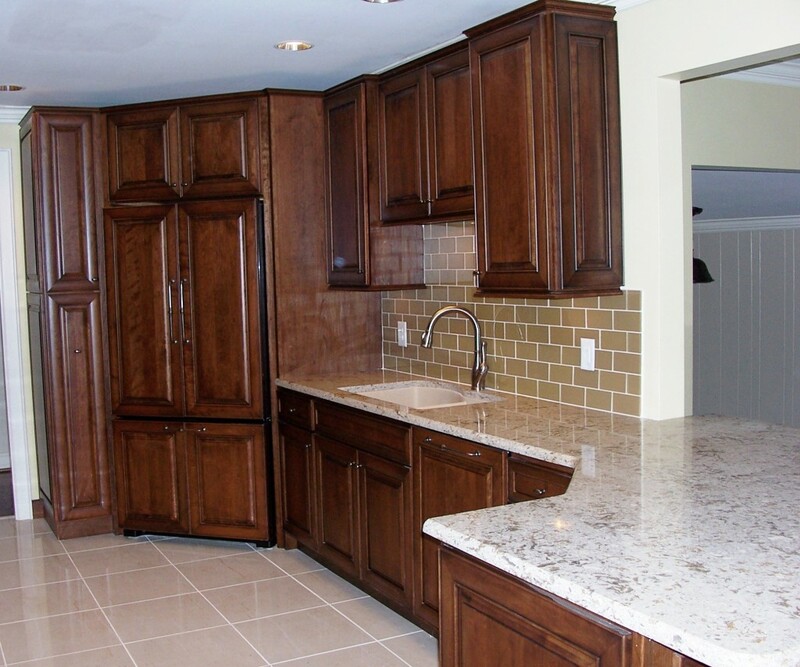 The cabinetry chosen was from StarMark using the Prescott door style in cherry and finished in toffee with an ebony glaze. 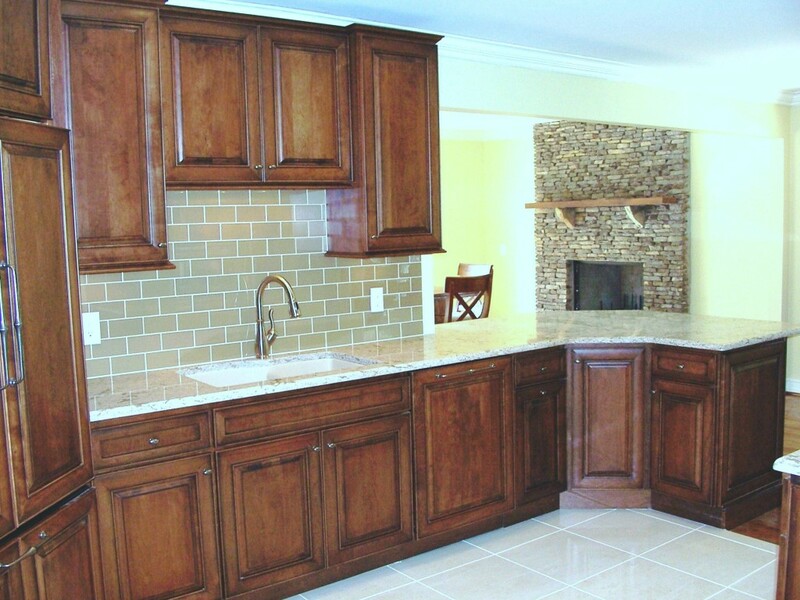 The refrigerator and dishwasher are concealed with cabinetry panels for a very polished look. Delta’s Leland faucet in stainless and a Blanco granite sink in biscotti complement the granite countertops. 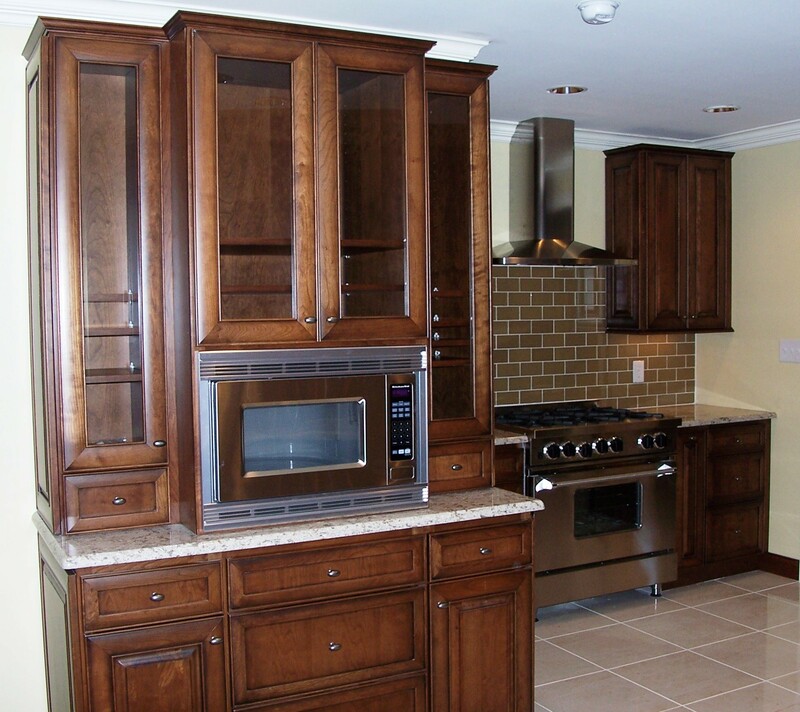 KitchenAid appliances include a refrigerator, dishwasher and microwave along with a BlueStar 36” range. The master bath was a total remodel replacing a tub with a walk-in shower and adding double vanities. 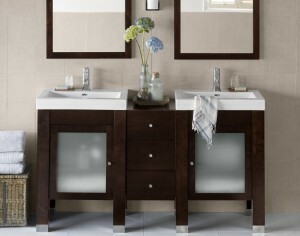 The maple vanities were also from StarMark using the Milan door style finished in toffee. American Standard’s Boulevard above counter sink was paired with Jado’s Pike faucet in chrome as well as the shower system. 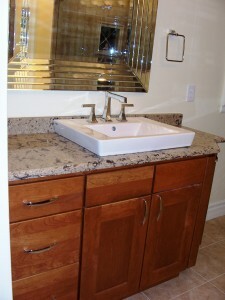 To complete the room, contemporary silver mirrors and vanity lights were added. A dated bathroom is transformed! Many more things were done to the house including a new roof, ductwork, two new Rheem heating and air units, updated plumbing and electrical, fireplace, refinishing of the existing hardwood and repainted throughout. After several months of hard work, the project is almost complete with a few details left. 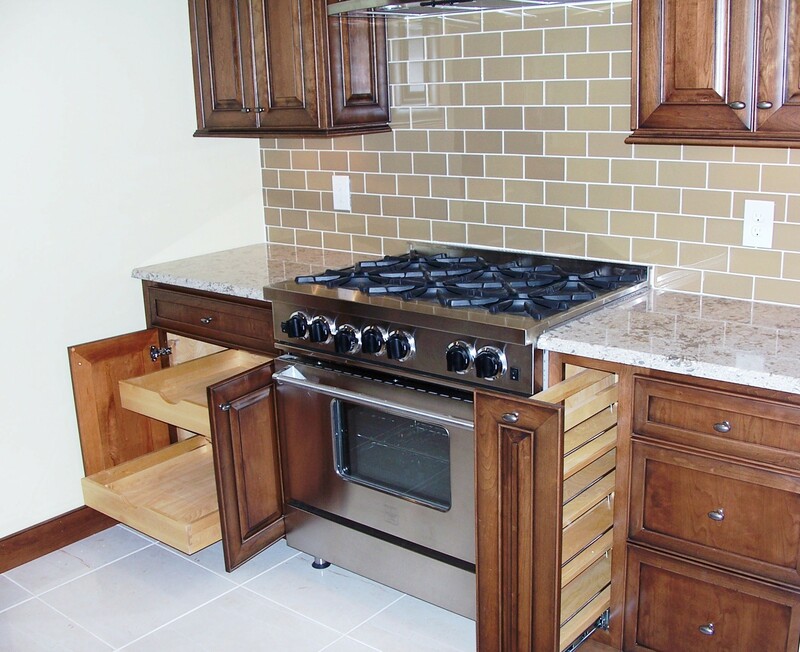 This entry was posted in Kitchen Trends & Tips and tagged American Standard, bathroom remodel, Blanco sink, Jado faucet, kitchen remodel, KitchenAid appliances, modern supply, Refrigerator with cabinet panels, remodeling, StarMark Cabinets on October 8, 2012 by Webmaster. Design for your space with semi-custom cabinetry from KraftMaid. 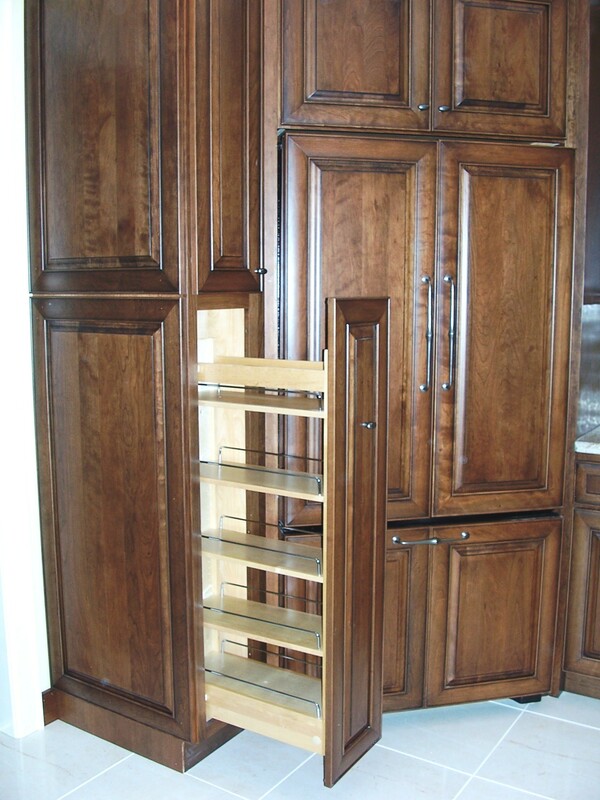 The custom cabinetry folks provide the widest choices in size, wood, finishes and cool storage features. Pull-outs designed specifically for hair dryers, curling irons and make-up is a diva dream! Snazzy touches like crown molding, glass doors, decorative cabinetry legs and specialty towel cubes add a timeless touch. The sky’s the limit on customizing! Hide bathroom clutter with storage options from Starmark Cabinetry. 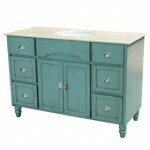 Vanities and matching bath furnishings are hot, hot, hot! Available in pre-determined sizes, these spa-like pieces create an uncluttered, streamlined look. They’re ideal for a powder room! There’s flexibility in sink choices too—a one piece countertop with an integrated sink or a jazzy vessel sink can complete the look. 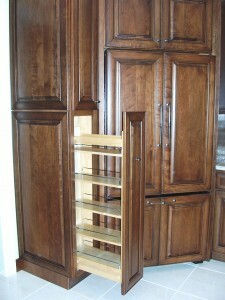 Towel towers, wall cabinets and mirrors add extra storage and are super cute. My stars! 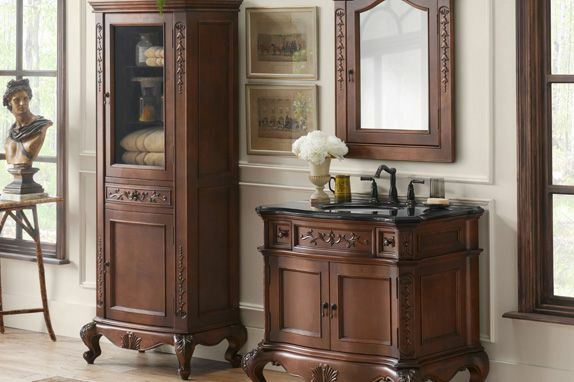 Did you ever think medicine cabinets would make a come-back? They’re not just an old, squeaky metal cabinet anymore. 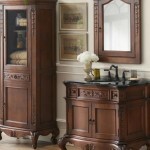 Stunning wooden medicine and overjohn cabinets complement vanities and provide extra storage. A fab piece for a small area! 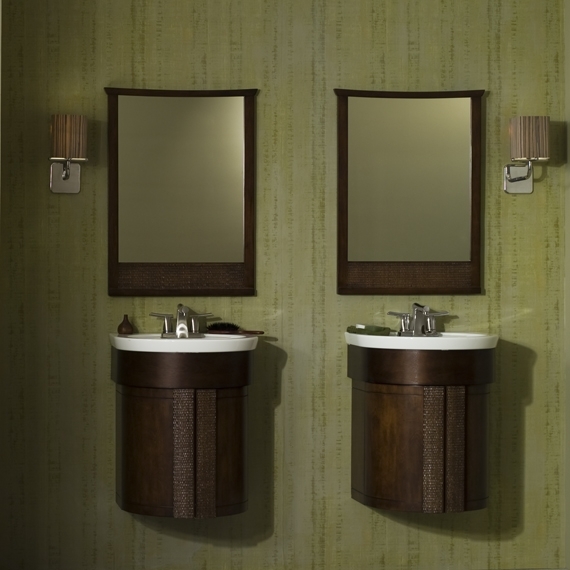 Wall hung vanities & matching mirrors from American Standard’s Tropic collection. 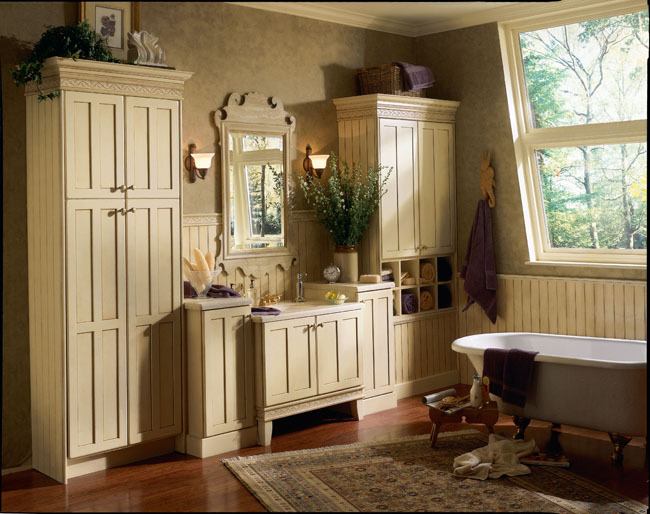 Take your bathroom from drab to glam! Drop by Modern Supply and let our top-notch designers show you what dream baths are made of. 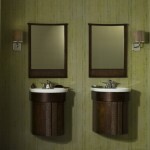 Stunning double vanity & matching mirror from Ronbow. 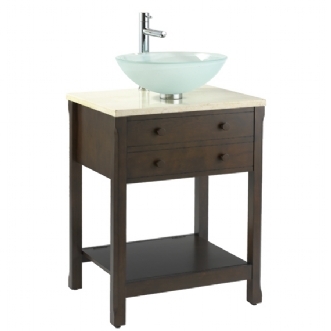 American Standard’s Cambridge vessel sink vanity. 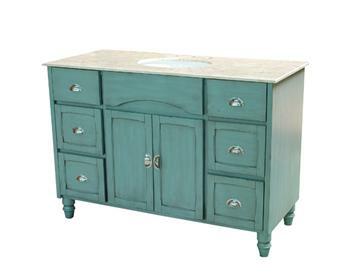 Add a splash of color with this Yosemite vanity. 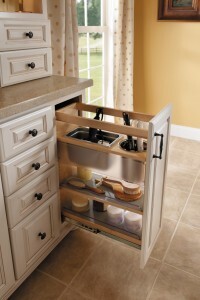 This entry was posted in Bath Trends & Tips and tagged American Standard, bathroom furniture trends, custom cabinetry, KraftMaid, medicine cabinets, modern supply, Ronbow, StarMark Cabinets, vanities on April 23, 2012 by Webmaster. Buying a toilet isn’t as much fun as buying sassy spring sandals but a necessity! There’s more to know about toilets than meets the…well, you get it. 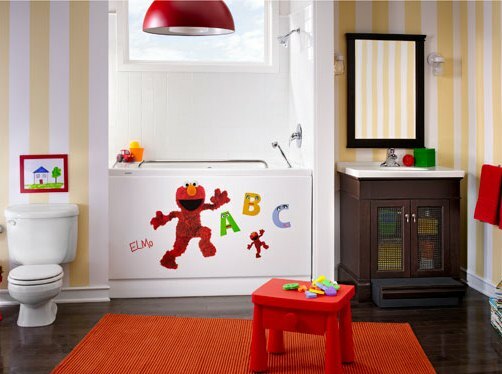 Find the right flush for your bathroom with my toilet tips. 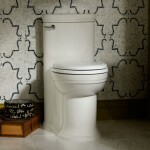 The Porcher Archive 1-piece toilet is pretty & WaterSense labeled. 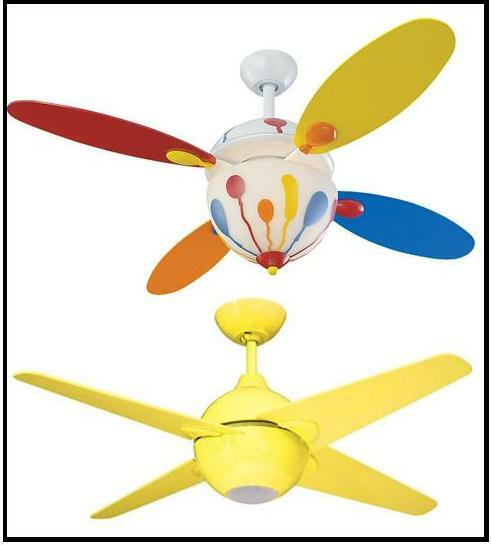 Porcher is an American Standard brand. 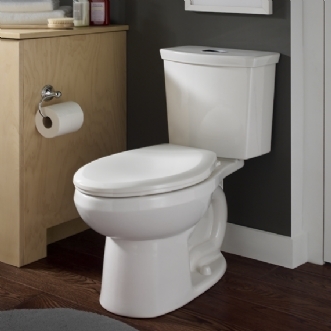 A one piece toilet is sleeker, easier to clean and has fewer places for yuck to live. Two piece toilets are economical, easy to install and the bowl or tank can be replaced. Toilet height is measured from floor to rim. Standard is 14-inches; chair height is 16 to 17-inches and ADA compliant. There’s even a 10-inch model perfect for potty training. Round, compact elongated or elongated…oh my! Small powder rooms may only have space for a round or compact model that extends about 27 ½-inches. Elongated are the most popular extending 29 ½-inches. The EPA WaterSense folks say older toilets use 3.5 to 7 gallons per flush (gpf). Geez! That’s a lot! The government says the max flush can’t be more than 1.6 gpf. A WaterSense labeled toilet uses 1.28 gpf and can save a family of four more than $90 a year on their water bill. There’s also a dual flusher with a partial and full flush that uses as little as 1.0 gpf. Other stuff that divas typically don’t care about…The flush valve is inside the tank. A large opening allows the water to pass through faster for a quick flush. Valve sizes are 2-inch, 3-inch or the mack-daddy, 4-inch. Next, the toilet outlet is the gateway to the sewer and bigger is better. 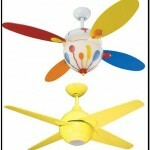 Sizes include: 2-inch, 2 1/8-inch and 2 3/8-inch. 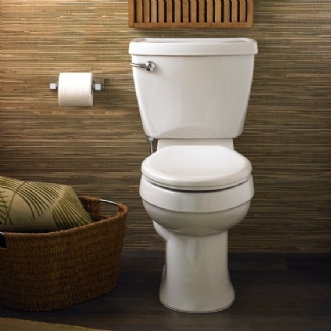 American Standard Champion 4 with a 2 3/8” trapway & 4” flush valve virtually eliminates clogs. 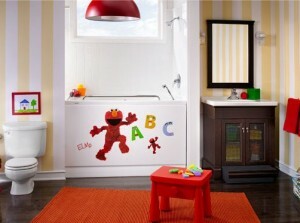 A potty for every space! 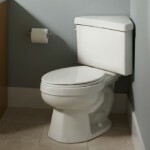 This entry was posted in Bath Trends & Tips and tagged American Standard, Champion 4, dual flush toilet, Modern Supply kitchen bath showroom, Right height toilet, Toilet height, Toilet tips, WaterSense on March 13, 2012 by Webmaster.